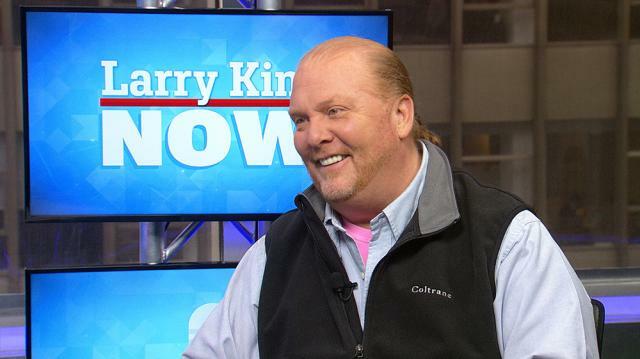 Mario Batali opens up about the highly-anticipated Eataly opening in Los Angeles. Larry King: Eataly, it’s coming to LA. Larry King: And it’s huge, how big is it? Mario Batali: Eataly in LA is 53,000 square feet. Larry King: And what is it? Larry King: Can I sit down and have a meal? Larry King: All in the same area. Mario Batali: All in the same building, but each one its own thing. So it’s its own town. If you sit in the seafood restaurant, you can only get seafood, you can’t even get dessert. So imagine you went to a little town, you sit down and you have some seafood, then if you want coffee, you go to the coffee bar, and if you want ice cream, you go to the little ice cream bar.